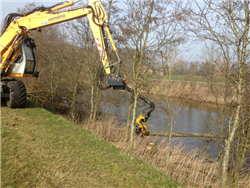 Make your mobile crane or caterpillar crane suitable for sawing work with the felling head GMT035 and GMT050 from Gierkink Machine Techniek. 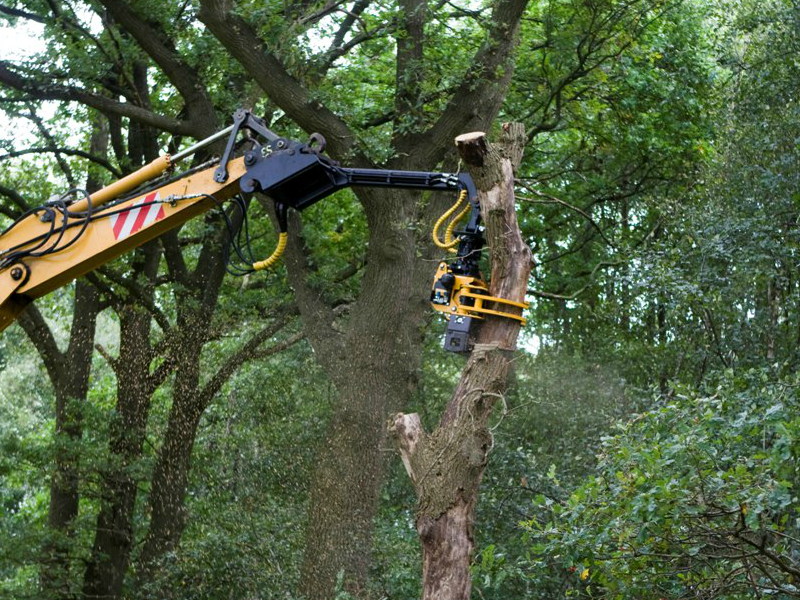 With these felling heads, your work will be safer because you’ll no longer need to use a cherry-picker. 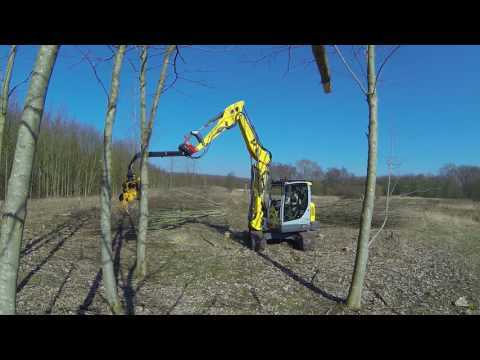 Move the felling head off the ground in any position in order to fell a tree. This is more efficient. 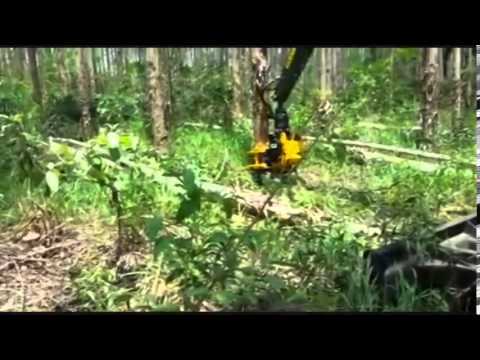 Sawing trees, lowering sections to the ground, gathering or transporting: everything done by one team and with the same machine. That’s how you save on manpower. Another advantage? The low-maintenance construction means the felling head lasts longer and constitutes a sensible, long-term investment. 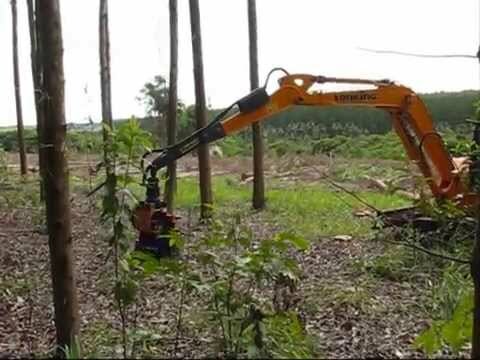 The felling head is mounted quickly and easily to your base machine. The patented valve block means no extra hoses and/or control cables are required. 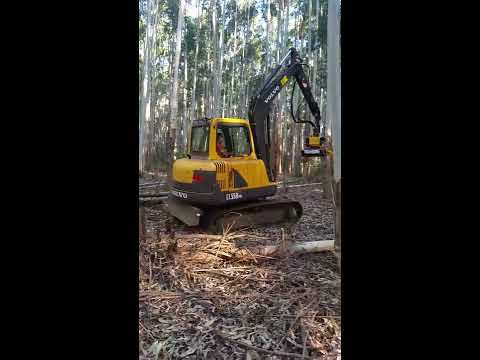 More benefits: fuel consumption is low and extra controls are not required. The felling head can be used with which excavators? 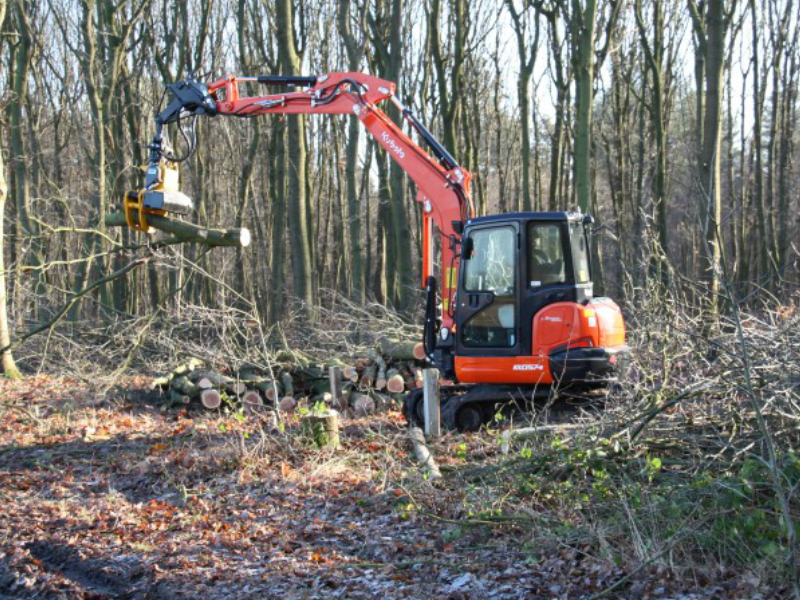 Examples of excavators that can be fitted with the felling head GMT035 and GMT050 are Atlas, CAT, Hitachi, Kubota, Liebherr, Lonking en Volvo. 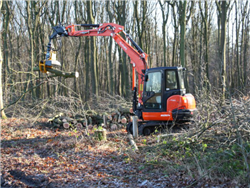 Take a look at the photos and video of the felling head GMT035 to see the options!